It is a Homeopathic Medicine that helps to overcome depression, stress, impaired memory and examination fear in students. It is also useful in anxiousness, Sadness, irritability. There is no side effects observed. It is 100% Safe & natural. ADULT: 1-2 tablets thrice a day. 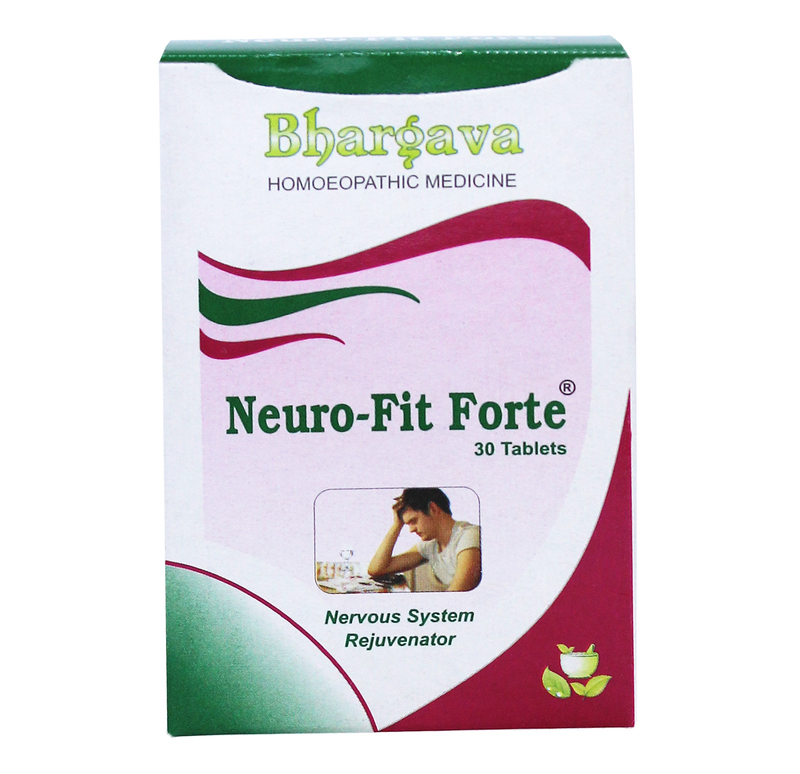 Doctor Bhargava Neuro-Fit Forte Tablet is a result of techniques perfected over 100 years of practice. It Induces the calm & peace, raises energy levels. It is suitable for everyone including men, women or children. Start taking Homeopathic medicine today and get best treatment. This is a type of mental illness that needs medical attention. The person can feel really low and lost when he or she is suffering from depression. It is important that the patient takes proper treatment for the same. It is better if the patient opts for homeopathic treatment which involves the use of medicines that are made from natural ingredients and these medicines have no side effects. The patient may also feel very agitated. Long term illness and personal issues can also lead to depression. Your search for depression treatment naturally ends with this tablet. This psycho-energizing antidepressant will act on the body in a gentle way. It will help in fighting the different symptoms of depression. The best thing about homeopathic depression treatment is that it is a safe method of treatment. One can get this homeopathic medicine online. The order for the same can be placed on the website of doctor bhargava. The medicine will be delivered to your doorstep.